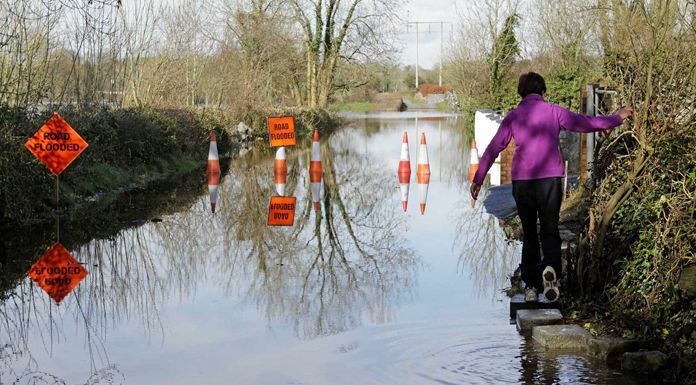 The OPW insists that flood protection works that have been committed to will still go ahead. Funding has been allocated towards much-needed works in Shannon, Ennis and Clonlara, and concerns have been raised that these may be affected by a budget cut in the OPW, caused by the Children’s Hospital overrun. This has led to concern in Springfield Clonlara, where residents are anxiously awaiting flood protection works. The OPW has ringfenced €1.4 million to a project that’s currently in planning. Local resident Gerardine Quinlivan is calling on the county’s elected representatives to ensure that vital projects aren’t put on the backburner. The Council is awaiting an update from consultants later this month as to the future of the project in Springfield, and local Independent Councillor Michael Begley hopes works will progress quickly. He funds already committed to the project shouldn’t be affected by the budget cuts. The Government says projects across the country will now be delayed, rather than cancelled, while the OPW says it’ll undertake a review to determine which projects will be affected. So that means there is still a lack of clarity on the impact, if any, on the planned scheme in Clonlara, as well as other works planned for Shannon and Ennis. Finance Minister Paschal Donohue is playing down the impact of the cuts on the OPW, and other Departments.